Steady is a call-in show that tackles dating and relationship advice in the digital age. Virginia helps callers demystify Tinder, texting, and other tricky topics. She's friendly and approachable, but will yell at you for posting bathroom mirror selfies in your dating profile. 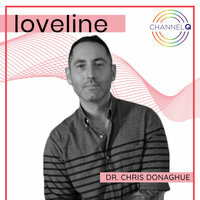 Call in live at 8 ET on Thursdays at 512-518-5714, leave a voicemail at 512-766-LOVE (5683), or write in! Hosted by Virginia Roberts. Virginia speaks with Valerie Aurora (of Ada Initiative and Double Union) about online dating from a feminist perspective. They tackle how spreadsheets can help you to a happy dating life, how the term "sapiosexual" is a giant red flag, and so much more. Virginia talks with Tiffany Arment about marriage quirks and knowing when you've found the one. Virginia chats with an anonymous caller about the emotional roller coaster of online dating. They immediately get off-topic discussing tips and tricks to make a better go of OkCupid and Tinder, plus some real-life dating encouragement! Virginia talks with her husband Grant again about introducing her to his hobby, career, and passion—video games. How do you share something you love with someone who doesn't also love it (yet)? How do you balance having dissimilar interests? How do you incorporate mutual enjoyment while staying independent? Virginia talks with her husband Grant about how they first met, playing the field vs. settling down, and their awkward bumbling first date (which eventually led to a great marriage). 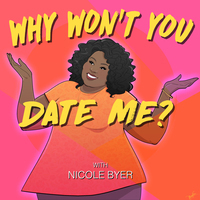 24: When to Discuss Mental Illness in Dating? 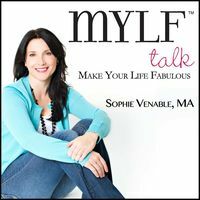 Virginia talks with Robert about when and how to reveal mental health issues in dating. Too soon, and we risk scaring people away. Too late, and it can feel like a breach of trust. How can we find that sweet spot to reveal something vulnerable? Virginia takes a question from Kara, who's in a long-distance relationship with her fiancé in Norway. She tackles how to have more fun during weekend visits and how to prepare for eventual married life together. Virginia takes a call from Gayle, who's conflicted about a man she can only contact via snail mail. Gayle figures out how hurt she feels when he left her after seventeen years of dating, and mulls over her options for what to do next. Virginia takes a call from Gary about long distance relationships. He swore he'd never be in one... and so did the gal he's talking to long distance! :) How long should they carry on like this? How often do they need to see each other in person? How can he get her to open up about her hesitancy to come visit him? How can they be vulnerable and open bout their feelings and concerns?